Rykshin Alexei Yu. 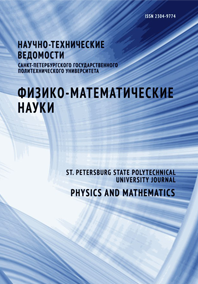 Zatsepin Pavel M.
The pulse source electromagnetic field scattering problem by a dielectric layer is considered. Integral expressions for electric and magnetic components of a field in all media of a problem are obtained. Numerical results for a case of vertical polarization of incident field for various values of media permittivities are, presented.